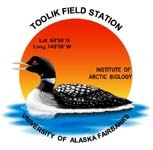 » Biogeochemistry data set for Imnavait Creek Weir on the North Slope of Alaska. Definition: Distance along a stream where negative values are upstream of a designated starting point and positive values are downstream of the designated starting point. For soil sites, the distance is the perpendicular distance from the river or lake shore. Can include a text description.